This game originated in the Caribbean Islands on the cruise ships that travel the surrounding waters. Since the game does not offer the best odds and percentages for the player, when the game was introduced to American casinos, a progressive jackpot bonus was added to excite and attract more participants. Although this bonus does not greatly increase the appeal for most players, it definitely added to its initial popularity and perhaps even accounts for its lingering demand in this day and age of casinos, both on- and off-line. The game evidently maintains a wide following throughout the world, possibly in part to its glamorous and exotic title. 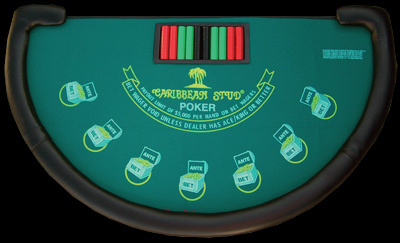 This article uses material from the website gamblingplanet.org "History of Caribbean Stud Poker".